Some pictures of food from Saturday. 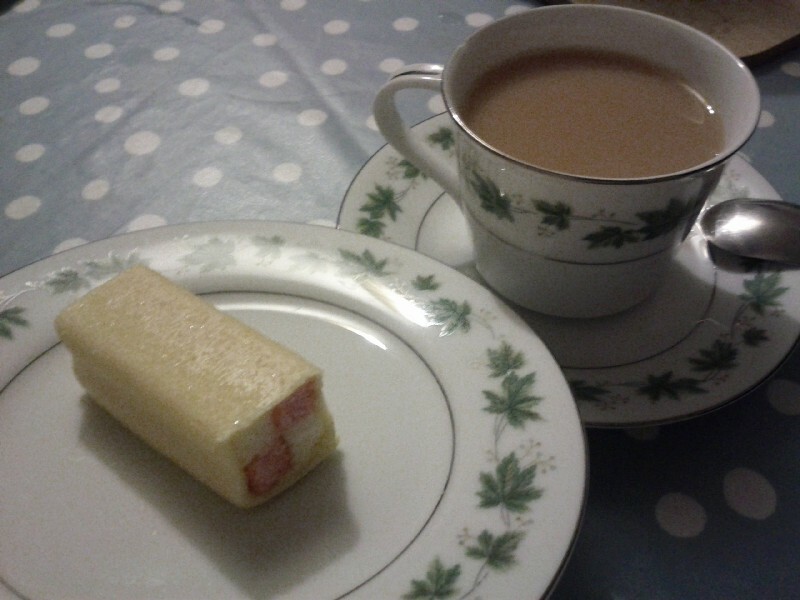 17:29:52 A very nice cup of tea with a very mass produced Mr. Kipling Mini Battenberg slice. 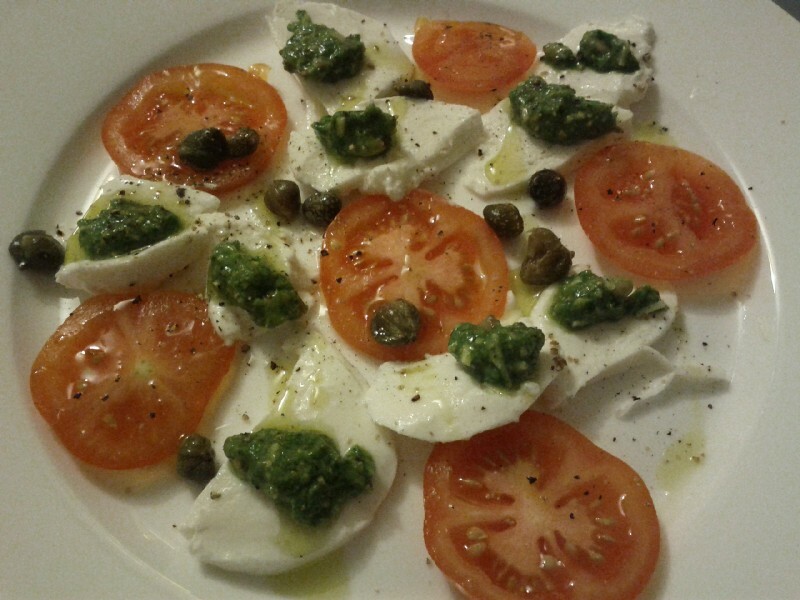 20:24:18 For dinner - a starter of mozzarella and tomato salad with capers and pesto. 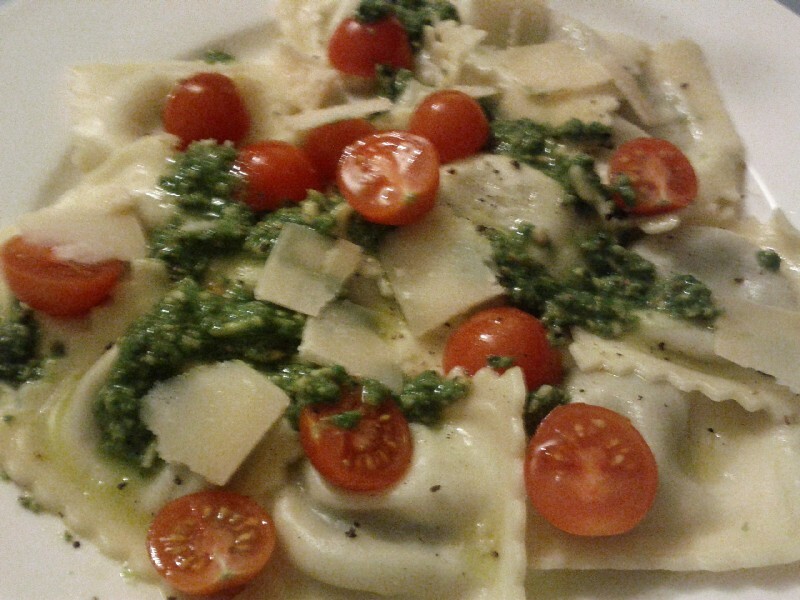 20:34:29 ....and for the main course, fresh pasta with more pesto.